As we saw with Hurricane Sandy, the end of the summer does not necessarily mean the end of hurricane season. It’s never too early or too late to start planning for a hurricane and there are some things to take care of both before a hurricane and when the storm is impending. Boarding up windows, securing outdoor furniture in basements or sheds, getting your insurance in order, and having a proper emergency plan are just some of the things that should go into prepping for a hurricane. 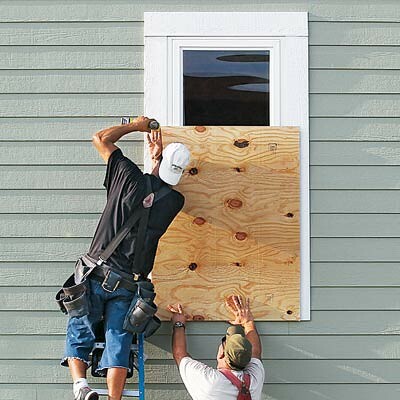 Boarding up windows and doors in preparation of a hurricane is one of the first things they tell you to do when a big storm is coming. It’s especially important if you plan on riding the storm out in your own home. Broken glass from windows is cause for a large percentage of hurricane injuries, as most windows are no match for the force a hurricane wind will pack. Boarding up windows is not only a good safety measure; it will also save you plenty of time during cleanup. Picking up broken glass can be a time-consuming process. If you’re planning on leaving your outdoor furniture lying around during a hurricane, you may as well kiss them all goodbye because chances are, they won’t be there after the fact. It’s common sense: hurricanes are extraordinarily powerful and furniture left around will probably be lost if not properly secured. It isn’t just a matter of lost property. In a hurricane, outdoor furniture becomes debris that can do major damage to property or can do serious injury or even death. To keep you and your neighbors safe from airborne deck chairs and umbrellas, hide them in your garage or basement. If neither is available, invest in a shed that can keep your furniture safe and grounded. 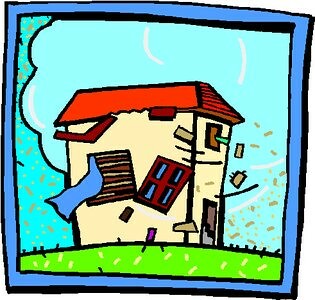 The aftermath of a hurricane is not the time to figure out that certain things won’t be covered due to technicalities. For example, after Hurricane Katrina, many people were unable to file their hurricane insurance claims because the insurance companies deemed that the damaged done was due to the flooding of New Orleans, not the hurricane itself. Talk to your insurance company ahead of time to find out exactly what scenario you’re covered under and find out if you are at risk for other scenarios you may want to cover yourself from. 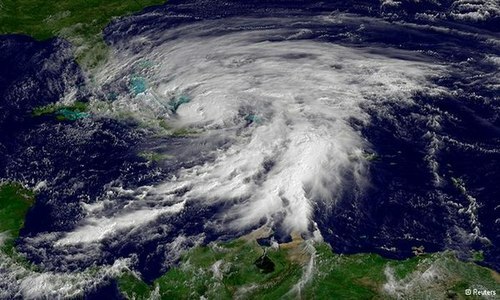 The main thing to take into account when dealing with a hurricane is figuring out a plan to keep your family safe. Decide your plan of what you’re going to do when a hurricane hits ahead of time, and make sure your entire family knows as well as some neighbors. In a worst-case scenario situation, having neighbors know what your plan is can help a great deal if there is a search-and-rescue situation. It’s always important to have an emergency kit with you that contain all the amenities that you may need during the hurricane. Any medications that anyone in your family takes should be accounted for and any other health concerns should be reflected in your family’s emergency kit. Part of hurricane safety is about being prepared ahead of time. Taking the time to make sure your family and home are secured can go along way when the storm hits.